Sometimes things don't turn out the way you wanted or thought they would. Life is hard. A slew of trials can come all at once. This is one of those times. A week ago I was let go from my job--not a situation I ever thought I'd be in and honestly, rather shameful to admit. It's a long story how everything transpired and not one that's appropriate to share here. Ultimately, although I am in a difficult financial situation due to the unexpected loss of my job, I am grateful to be free from a less than ideal employment situation. I have started applying for remote freelance work, as well as part-time and full-time positions here in Albuquerque. Every night Dale and I pray I will be able to find work that I will enjoy and bring in the necessary income we need. I'm terrified but trying to be hopeful. My confidence is shaken but I know a job more suited to my needs and skillset is out there, I just have to find it. I have also been struggling with my depression the last few months. I experienced a multiple day episode at the end of July that made me realize it was time to seek some additional help. Last week I established care with a therapist here in Albuquerque and will be meeting with a psychiatrist later this month to review my medication. Even though I've dealt with depression for the past 10 years, there's still a part of me that doesn't want to admit it's a condition that effects my daily life. Last week I wrote about our new furry edition, Lilly, an Australian Cattle Dog we adopted a few weeks ago from the local animal shelter. This past week Lilly demonstrated some major aggressive behavior that left us scared, worried, and confused. After doing research on our own and seeking guidance from professionals specializing in dog behavior, we have come to the very difficult decision to return Lilly to the animal shelter. The behavior she demonstrated makes her a danger to herself, to us, and to others. This was a very, very, very difficult decision and not one we took lightly. In situations like these there is no easy answer. As a stray, we have no idea what Lilly's life was like before we adopted her but it is evident that she did not receive the socialization, training, or care she needed to develop into a safe, healthy dog. I've cried my eyes out the last few days as we've wrestled with what to do. My heart is absolutely broken, as is Dale's, but we both feel this is the best, safest decision for Lilly and for us. We are grateful to have given Lilly the best home we could over the last few weeks. I pray that the shelter might be able to find a better home for her but also know that she may not be suitable for re-adoption, through no fault of her own, and will need to be put down. This ugly reality is almost more than I can bear. All I can do to get through this is pray and turn to Dale for support. 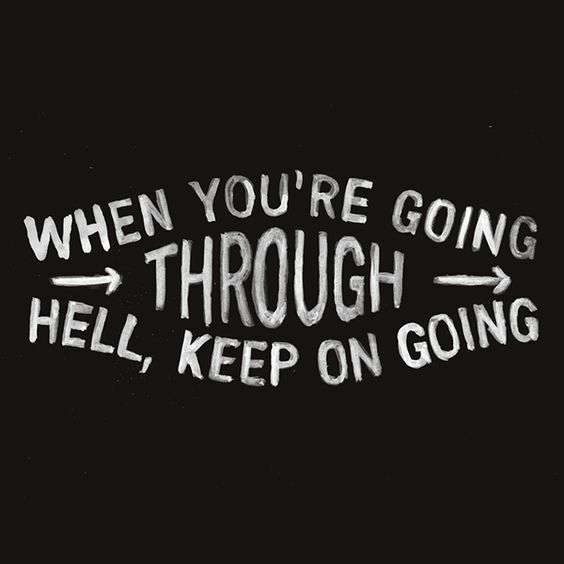 If you're going through hell, don't give up. Keep on going. There is hope on the other side no matter how rough things are right now. I say that as much for myself as anyone else out there. Heavenly Father and the Savior are there for you. They won't leave you alone. Lean on those you love for support, encouragement, and comfort. I'm grateful to have Dale as my partner through these trials we're experiencing right now. He is my strength and motivation to do better, to be better. Together, I know we can overcome these trials. It's just going to be a little rough for awhile. My heart goes out to you and Dale. Be kind to yourself as you're going through this hard time. You're so compassionate and brave; better days are ahead. Love you guys.